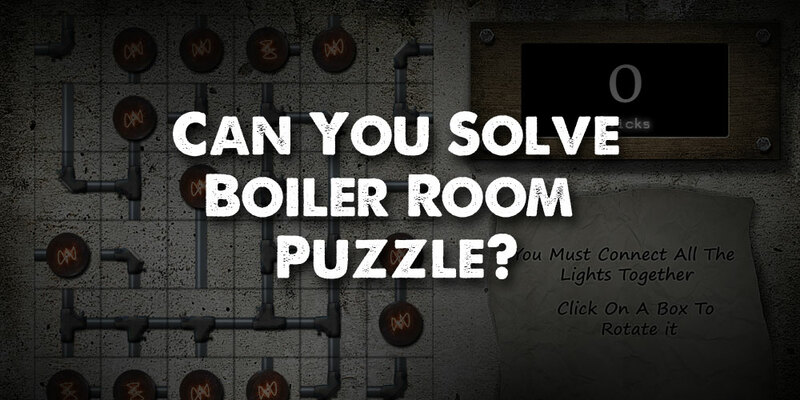 Puzzle 5: Can You Escape The Boiler Room? You find yourself in another room with no windows and only one locked door. There seems to be many of those around here! The door must be powered by a nearby control panel. You look at the panel and find a note. It seems the connections are all scrambled. Maybe if you fix all the connections, the door will power up and you can escape!